This is the fourth draft of this article countering the arguments of Conrad Russell. This is not my last word on the matter but does supersede all other articles. Again comments are welcome. The coalition government recently published its changes to the National Curriculum. Aside from the fact that the new changes are way too narrow, parochial and would return the educational system back to the Victorian era they have provoked an ideological battle amongst writers, historians and other academics. Certainly amongst historians the battle lines are being fought largely between left and right leaning historians. It is perhaps with great irony that Tory government supporters have labelled their opponents Marxists. A recent headline in the Daily Mail was entitled “I refuse to surrender to the Marxist teachers hell-bent on destroying our schools: Education Secretary berates 'the new enemies of promise' for opposing his plan”. The reason I say ironic is that for the last twenty years or so there has been a concerted attempt to downplay and in some cases deny that Marxists or Marxism has any role to play in the understanding of History. Certainly, in the area of English civil war historiography, the attack on Marxism has been over the years heated, persistent and in some cases aggressive. A small recent example of this can be seen from Christopher Thompson’s reply to this article . The purpose of this essay is not to trawl through the entire history of these attacks of which there are a substantial amount, although having said that it would be a good subject for an essay but to examine one example namely the work of Conrad Russell and expressly his essay The Bourgeois Revolution: A Mirage”. The essay which was published in History Today in 1990 was more populist in style than academic. Russell’s article was perhaps the most open polemical attack on the method of historical Materialism and was published in what became and still is a substantial house organ for revisionist historians. His article was also one of many similar articles in the field of history and politics that sought to cast doubt on Historical Materialism and Marxism in general as a method of historical analysis. In fact it presaged what has become an anti-intellectual and anti-Marxist counter-revolution in the field of English Civil war studies. The another high point of this anti-intellectualism was two years after Russell’s article there appeared Francis Fukuyama’s The End of History and the Last Man. Fukuyama’s attack coincided with a systematic attack from revisionist historians across all fields on Marxist historiography that gained substantial momentum after the collapse of the USSR. In many ways his article echoed a school of thought both inside and outside academia which saw the end of the U.S.S.R as signifying the end of Marxism. For a number of academics who were largely out of their depth in this field the USSR equalled Marxism rather than it being a Stalinized distortion. According to Conrad Russell, the English bourgeois revolution was a mirage something illusory and unattainable or an incorrect conception. Russell’s conclusion was there was no revolution in the 1640s and for that matter, he does not fancy there being one in 1688 either. It should be borne in mind that before Russell wrote his article it was broadly accepted that some kind of revolution had happened. Whether it was a puritan revolution or a bourgeois revolution. Russell’s framework for answering the question was there a revolution? Is a little ropey to say the least. Relying on Professor Alfred Cobban “Four laws!” was hardly the most objective or for that matter scientific yardstick. Cobban like Russell was opposed to Marxism and held similar views to Russell albeit in a different area of study, Cobban wrote extensively on the French revolution which he believed was not a social revolution. According his page on Wikipedia “Cobban’s views and works in the macrocosm were to be the inspiration and birthplace of the historical school now known as Revisionism. Along with George V. Taylor, Cobban vehemently attacked the traditional Marxist conception of the past within Marx's dialectic, particularly in his work The Social Interpretation of the French Revolution. His resultant argument was that the Revolution could not be seen as a social revolution exacerbated by economic changes (specifically the development of capitalism and by corollary, class conflict between the bourgeoisie and the nobility). Rather, argued Cobban, the French Revolution should be seen as a political revolution with social consequences”. Whether Cobban’s writing was the birth place of a new form of revisionism is open to question. In some sense all historians are revisionists but this particular group of historians was united by their hostility to both Whig and Marxist historiography. It is also strange that Russell who was a very distinguished historian failed in his essay to produce any real detailed examination of Marx’s actual writings on the English bourgeois revolution. Although not prodigious however he did write extensively on the rise of the bourgeoisie. Look at this beautiful statement from the communist Manifesto. “The bourgeoisie cannot exist without constantly revolutionizing the instruments of production, and thereby the relations of production, and with them the whole relations of society. Conservation of the old modes of production in unaltered form, was, on the contrary, the first condition of existence for all earlier industrial classes. Constant revolutionizing of production, uninterrupted disturbance of all social conditions, everlasting uncertainty and agitation distinguish the bourgeois epoch from all earlier ones. All fixed, fast-frozen relations, with their train of ancient and venerable prejudices and opinions, are swept away, all new-formed ones become antiquated before they can ossify. All that is solid melts into air all that is holy is profaned, and man is at last compelled to face with sober senses his real conditions of life, and his relations with his kind”. Also if Russell had indeed looked at Marx’s writing he would have found that Marx was familiar with people who denied revolutions had taken place. Russell had an annoying habit in this essay of lumping Whig history together with Marxist. So much so that Russell believed that the Whig version of the origins of the English civil war was a dialectical one. It is not in the realm of this essay to go into any detail suffice to say that Russell really did not know what he was talking about. I am not sure how much Marxist literature he read but it is clearly not enough for such an eminent historian to make such a flippant remark without really backing his argument up. Russell who would have been fully conversant with the “Whig interpretation of history” and he would have also been aware that Sir Herbert Butterfield’s slim volume of that name was in fact a polemic, directed at economic determinism. In examining Russell’s theories it should be borne in mind he was not the first to revise Marxist historiography. When this revision started in Britain is open to much debate but for the sake of this essay it would have started with Elton’s High Road to Civil War essay. Elton’s essay is a strange one. Having read it a few times one is struck by the paucity of his argument, which is odd because of the tremendous influence it had on large numbers of revisionist historians. Elton’s essay was an expression of his conception of how to practice history. In an essay of the same name he opposes the conception that every historical event can be rationally explained. In ‘The Practice of History’, which was written in response to E H Carr's 1961 book What is History? Elton commented “All assessment of evidence must be the work of the intellect, of the reasoning faculty. The historian cannot but work on the assumption that whatever happened is capable of rational explanation and that evidence is the product of an act discoverable by reason. And yet we all know that this is not quite true; that we act, react and reflect on motives which have little to do with reason and under influences--such as ill-health, a quarrel with people not involved in the transaction, whim and lack of thought--that can but rarely appear in the ... evidence”. Elton’s “empirical or thesis-free” method was clearly attractive to Russell and he adopted some if not all Elton’s love of empirical methodology. For me, Russell is a pivotal link between earlier revisionists such as Elton and their more modern day counterparts. Russell main argument is that Marxist historiography stood or fell on the theory that the English Civil war was provoked by the rise of the gentry/middle class. Which predicated the rise of the bourgeoisie. Russell believed “the notion of the rising middle classes is a fallacy” and “together with increasing doubt about the rising middle classes, historians are showing increasing doubt about the dialectical model, in which change comes about by the clash of opposites. This model, as Marx generously admitted, is one we originally owe to Hegel, and its survival has owed as much to Hegelian as to Marxist influence. The Whig version of the origins of the English Civil War, for example, was a clearly dialectical view, and it has come in for heavy criticism in the past fifteen years”. Some things need to be said about the above quote. Firstly to be honest you would be hard pressed to find in Russell’s writing when the bourgeoisie did “rise”. In fact you get the feeling that Russell would like it to be never and certainly it did not arrive through revolution in any century. Even during the 17th century some of the more perceptive writers saw that a revolution of some kind had taken place. Vernon F Snow wrote an important essay outlining the use of the word revolution during the 17th century. Snow says “One of the first writers-if not the first-to apply the concept specifically to the English political upheaval was Matthew Wren, the son of Dr Matthew Wren, Bishop of Ely. Sometime after the trial and execution of Charles I, this royalist wrote a treatise entitled Of the Origin and Progress of the Revolution in England. 'The world is full', he wrote, 'of both books and pamphlets, who have nothing to do but to teach their readers these events; and the design of writing this was only summarily to treat of the most general causes of those strange revolutions we have seen.” Russell is strangely silent on this varied historical usage of the word revolution and his essay almost takes the form of a religious exorcism. According to Russell “historians are showing increasing doubt about the dialectical model. Who are these historians? What are they saying and more importantly what their political bias is? While there has been an assault on Marxist historiography over the last twenty years the legacy and influence of historians such as Christopher Hill still resonate with us today. A cursory look at a growing number of publications would show us that Russell has not entirely succeeded in extinguishing the word revolution from Early Modern historiography. The Storm over the Gentry. When Russell ties the theory of a rising Middle Class or bourgeoisie to the fate of the Marxist historians he is doing a dis-service to his profession. It is very strange that Russell does not elaborate on the “Storm over the Gentry” debate. Because if he did he would have had to tackle what leading Marxist historians such as Hill did actually say on the matter? Russell mentions nothing in his article about Hill being very wary of the debate over the rise or decline of the gentry. The debates over the gentry which took place in the early 1950s were for Marxists far more complex than just placing their entire historical faith on the rise of the middle class. Russell’s original point was that Marxism really stood or fell on the basis of a rising gentry. The “Storm over the gentry debate is probably one of the most important in civil war historiography. The original debate was centered on R H Tawney’s thesis of a rising gentry later supported by Lawrence Stone who in 1948, who close to the historical positions of R.H. Tawney published in the Economic History Review entitled "The Anatomy of the Elizabethan Aristocracy". Tawney and Stone’s arguments were countered by historians Hugh Trevor Roper and later by J H Hexter. It would be a mistake to describe both Tawney or Stone as Marxist and their positions regarding the gentry were not Marxist positions. This is not to say that their work is not without great merit and should be studied at great length. Although Stone himself did describe himself in the early part of his career as being a young Marxist his mistakes were the product of an incomplete assimilation of the Marxist method of Historical Materialism. Stone had a major problem in that he never really understood the difference between genuine Marxism and a crude form of economic determinism. Stone himself soon moved away from any link with Marxist historiography and in his own words he became in 1987, "an old fashioned Whig". Hill’s positions on the debate are instructive. He was critical of both sides and that the debate was more to do with the developing Cold War anti-communism than merely a debate over civil war historiography. Hill also called for further research into the economic positions of people on both sides who took part in the war/revolution. Hill was also a good enough Marxist historian to understand that the real target of the debate was not just Tawney or Stone or himself for that matter but of Marxism itself. The question is should Marx and his method of investigating and explaining historical phenomena be held responsible for the implementation of his method by subsequent historians Marxist or otherwise. After all if a patient dies on the operating table should that lead to the questioning and repudiation of the whole history of medical science? To buttress his claim that middle class did not rise at this time or that there was a revolution Russell uses the ultra-conservative historian J H Hexter. Hexter’s article the Myth of the Middle Class in Tudor England published in 1961. Russell’s use of Hexter is natural to bolster his argument but to use a rebuttal piece by K G Davies called The Mess of the Middle Class in the same paragraph is a little weird. I am all for historical balance but this seems a little strange. I could be wrong but Russell’s choice of historians to defend his charge are to some extent logical but they also give the appearance that Russell did not give much thought to them. They almost seem to be thrown in as afterthought. He does not detail much about their work and most annoyingly no footnotes are given making research difficult. Hexter's most important essay entitled "The Storm over the Gentry" which Russell strangely ignores was published in a mainstream magazine after it was turned down by a number of leading American historical journals. Hexter’s main argument was to criticize what he believed were left wing historian’s too heavy reliance on social determinism which he believed undermined their arguments. Hexter who has been described as a Neo Whig and was as William H Dray said “unabashedly, and often polemically Whiggish. For Hexter, the English Civil War was to be seen as the defense of traditional English liberties against an aggressive Crown. This position contrasted in the 1970s with the revisionist views of Conrad Russell and others who disputed both the uniqueness of the English Civil War and its connection with ideas of liberty. However, inasmuch as the revisionists were also explicitly anti-Marxist, their stance owed a great deal to Hexter's critiques. Russell in particular echoed Hexter's emphasis on continuity in English political values, Hexter's distinction between the Civil War and the subsequent Revolution, and Hexter's belief that contingencies better explained the coming of the War, while rejecting Hexter's view that Parliament was acting out of a clear-cut sense of constitutional obligation and embracing instead the view that religious conflicts and practical problems in the composite monarchy were more decisive”. In Dray’s essay, he attempts to try to define what is to be a Whig historian. For instance, Hexter’s fascination with constitutional matters certainly would put him in the Whig camp. “Marx himself did not fall into the error of thinking that men’s idea were merely a pale reflection of their economic needs, with no history of their own: but some of his successors, including many who would not call themselves Marxist, have been far more economic-determinist than Marx. It seems to me that any body of thought which plays a major in history – Luther’s, Rousseau’s, Marx’s own-takes on because it meets the needs of significant group in the society in which it comes into prominence”. Another reason Russell believed that the revolution was a mirage was his point that the gentry or bourgeois fought on both sides so therefore how could you talk of a bourgeois revolution. He made the correct point that the social origins of the civil war bourgeoisie were not clear cut and that capitalists were on both sides. For him the civil war was nothing out of the ordinary and was largely a series of breakdowns or mistakes from leading players such as Charles1. It is clear that there have been varying degrees of success of how well Marxist historians have applied historical materialism to the study of the English revolution. The historian Robert Ashton in his essay The Civil War and the Class Struggle outlined the pitfalls encountered by Marxists historians. Ashton is correct in his analysis of the tensions between the king and growing section of the bourgeoisie over a number of issues that went back over a few decades at least. Ashton does not subscribe to the revisionist contention that just because there were bourgeois elements on both sides of the war that it discounts the Marxist theory of a bourgeois revolution. Ashton points out that this makes it harder for a clear cut analysis but does not rule out the possibly of doing one. For Ashton the makeup of the 17th century was complex and varied. In his article On Charles and the City of London contained in Essays in the Economic and social History of Tudor and Stuart England; he believes the monarchy had the support of a small but significant section of the bourgeoisie who stood to gain if Charles won the war. On parliaments side stood varying different sections of the bourgeoisie. While this scenario does make it difficult to make generalizations it does not as Russell believes make a Marxist analysis null and void. Having read enough of Hill I am clear that he accepted that there were gentlemen and landowners on the Parliamentary side in the civil war and small farmers and artisans on the Royalist side i.e. different sections of the bourgeoisie and Aristocracy. From his knowledge of early Soviet historians and his study of the writings of Marx and Engels he never made the assumption that this was a chemically pure revolution. In fact in his major writings he makes the point that large numbers of people fought and took sides outside of purely economic reasons. According to Ann Talbot “he was sensitive enough to his historical sources to detect the social currents that brought people of diverse social backgrounds into struggle against the king and well-grounded enough in history to identify new and revolutionary ideas in the curious and archaic guise in which they appeared—as the ideologists of the revolution ransacked the Bible and half understood historical precedent for some kind of theory to explain what they were doing”. Russell rejected this analysis and reiterated that “historians are showing increasing doubt about the dialectical model, in which change comes about by the clash of opposites. This model, as Marx generously admitted, is one we originally owe to Hegel, and its survival has owed as much to Hegelian as to Marxist influence. 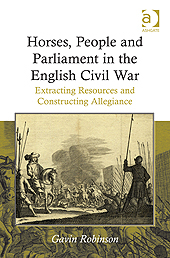 The Whig version of the origins of the English Civil War, for example, was a clearly dialectical view, and it has come in for heavy criticism in the past fifteen years”. It is true that Marx did owe a debt to Hegel. Marxism was a development on from Hegel’s philosophy. Russell is correct that one of the basic components of Marxism is the conception of the unity of opposites. Marx took what was the best or materialist from Hegel and discarded his idealist component. Ilya Stavinsky explains this well “any development, in wide sense of this word, consists of the birth of the event, its development, in narrow sense of this word, and its death. So with time the birth of the event transforms into its opposition, the death of the event. Consequently, the birth and the death are opposite meanings and for this reason they constitutes dialectical contradiction. The essence of the dialectical logic consists in the fact that it describes the development of this contradiction i.e. it shows the transition of the event from one stage, the birth, to its opposite stage, death. For this purpose dialectical logic possesses by its system of category and by its abstract laws. By using them dialectical logic can grasp in detail the process of any development independent of its character whether it is social or natural event. Such categories are form, content, and essence, quality, quantity, elementary form, particular form, universal form, and opposites, real and formal contradiction and so on. Examples of laws: the transformation of content into forms, the transformation of quantity into quality, unity of opposites and so on”. Marx clearly tied the study of history with the study of society itself. If Russell had probed a little further in his research he would have found that the main writers and philosophers during the 17th century attempted to understand their revolution along those similar lines. On this matter, Russell could have done no worse than consulted a number of articles written by a number of the Soviet historians who wrote on this matter. It would have perhaps given his arguments a more objective tone. One such writer Evgeny Pashukanis said “ The English Revolution of the seventeenth century gave birth to the basic directions of bourgeois social thought, and forcibly advanced the scientific, i.e. materialist, understanding of social phenomena. “It suffices to mention such a work as Oceana – by the English writer Harrington, and which appeared soon after the English Revolution of the seventeenth century – in which changes in political structure are related to the changing distribution of landed property. It suffices to mention the work of Barnave – one of the architects of the great French Revolution – who in the same way sought explanations of political struggle and the political order in property relations. In studying bourgeois revolutions, French restorationist historians – Guizot, Mineaux and Thierry – concluded that the leitmotif of these revolutions was the class struggle between the third estate (i.e. the bourgeoisie) and the privileged estates of feudalism and their monarch. This is why Marx, in his well-known letter to Weydemeyer, indicates that the theory of the class struggle was known before him". I believe that unlike Russell the war was a qualitative turning point and I attach an importance to an investigation into the growing capitalistic nature of agriculture key to understanding who fought and why they did. I am not downplaying the importance of investigating the role played by an increasing industrial and commercial class but they were a small minority of the bourgeoisie and did punch above their weight this was in reality a pre-industrial society and therefore as Harrington wrote land and property were the key to understanding the revolutionary nature of the period. If it is correct to say that we are dealing with a class of land owners who held sway before and after 1642 what was the material or economic basis of this power and how did it reflect in the political superstructure. Another aspect of Marxist analysis that was attacked by Russell and a whole host of subsequent revisionist historians has been the development of the Base and superstructure argument. As Marx pointed out “In the social production of their life, men enter into definite relations that are indispensable and independent of their will, relations of production which correspond to a definite stage of development of their material productive forces. The sum total of these relations of production constitutes the economic structure of society, the real foundation, on which rises a legal and political superstructure and to which correspond definite forms of social consciousness. The mode of production of material life conditions the social, political and intellectual life process in general. It is not the consciousness of men that determines their being, but, on the contrary, their social being that determines their consciousness. “At a certain stage of their development, the material productive forces of society come in conflict with the existing relations of production, or — what is but a legal expression for the same thing — with the property relations within which they have been at work hitherto. From forms of development of the productive forces these relations turn into their fetters. Then begins an epoch of social revolution. With the change of the economic foundation the entire immense superstructure is more or less rapidly transformed. In considering such transformations a distinction should always be made between the material transformation of the economic conditions of production, which can be determined with the precision of natural science, and the legal, political, religious, aesthetic or philosophic — in short, ideological forms in which men become conscious of this conflict and fight it out. Just as our opinion of an individual is not based on what he thinks of himself, so can we not judge of such a period of transformation by its own consciousness; on the contrary, this consciousness must be explained rather from the contradictions of material life, from the existing conflict between the social productive forces and the relations of production. No social order ever perishes before all the productive forces for which there is room in it have developed; and new, higher relations of production never appear before the material conditions of their existence have matured in the womb of the old society itself. Therefore mankind always sets itself only such tasks as it can solve; since, looking at the matter more closely, it will always be found that the tasks itself arises only when the material conditions of its solution already exist or are at least in the process of formation”. But it is clear that no all historians rejected the base and superstructure argument. Robert Ashton writing on the English Revolution makes an interesting point on some historians while not being Marxist did use some use of Marxist ideas. Ashton said “The idea of religious, political and constitutional issues as an ideological superstructure based on foundations of material and class interests has been influential far beyond the ranks of Marxist historians. It has indeed been adopted, in part at least and with a radically different emphasis, by some of their more formidable and determined opponents. While to the casual observer of historical debate these arguments could be viewed as storm in a teapot what lay behind them was Russell’s systematic attack on any materialist approach to historical understanding, smuggled in under the guise of a revaluation of the English revolution or in Russell’s case no revolution. Speaking of Russell Jim Holstun described his work as a ‘manifesto for historical revisionism’, Holstun makes the point that Russell sought another way to explain the social changes that were taken place in the English revolution that historians should concentrate on the upper yeomanry, the middling sort of people who were rising according to Russell ‘not so much at the expense of the gentry, as at the expense of small holders and the laboring poor’. Russell would often make the point that he not conversant with the term’s feudalism and capitalism. Where does this debate over an essay written over twenty years ago leave us? Whether Russell knew how much damage his and other attacks on the Marxist historiography of the civil war would do is a moot point. I believe he was acting very consciously when writing his essay and was genuinely hostile to Marxism. While better writers than me have been able to refute the main thrust of his arguments this debate does not take place in a vacuum and there are consequences that flow from his ideas. There has been a definite shift away from studies that have been commonly associated with Marxism or “history from below” to a more right wing “History from above” over the last 20 years. This is confirmed in a recent article in the New York Times, “In History Departments, It’s Up With Capitalism, it goes on A spectre is haunting university history departments: the spectre of capitalism. After decades of “history from below,” focusing on women, minorities and other marginalized people seizing their destiny, a new generation of scholars is increasingly turning to what, strangely, risked becoming the most marginalized group of all: the bosses, bankers and brokers who run the economy”. What damage this shift away has done would need a Ph.D. thesis and some. One thing is clear that the paucity of research into the economic changes taking place in the 17th century will badly limit our knowledge of the English revolution. I am not saying that Russell is solely responsible for the shift in academic circles both here and America. But his essay did play a small part in creating this atmosphere. K. Marx, Letter to Weydemeyer (March 5, 1852), MESW, vol.1, p.528. Vol. 7, No. 3 (Oct., 1982), pp. 249-264 Published by: Taylor & Francis, Ltd.